Automatic sprinkler systems are used more than any other fire protection system. No less than 40 million sprinkler systems are fitted worldwide each year. 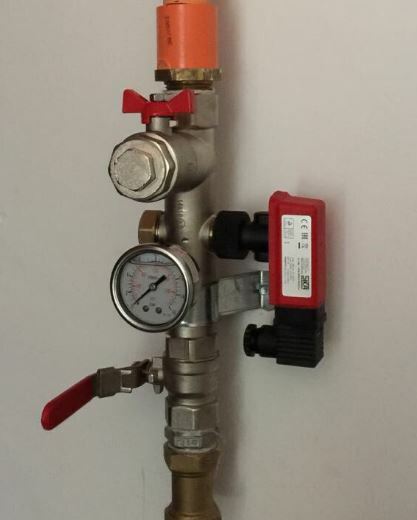 We are proud to be supplying the Residential Sprinklers company with our valve sets and it’s great to see them going into so many homes. The Residential Sprinklers company specialise in supplying residential, domestic and commercial fire sprinkler systems throughout the UK. They have a combined 40 years’ experience in the industry. They also provide service contracts for management companies, schools, hospitals and care homes. Residential Sprinklers are members of FIRAS and BAFSA and all of their work is designed and installed to British standards. 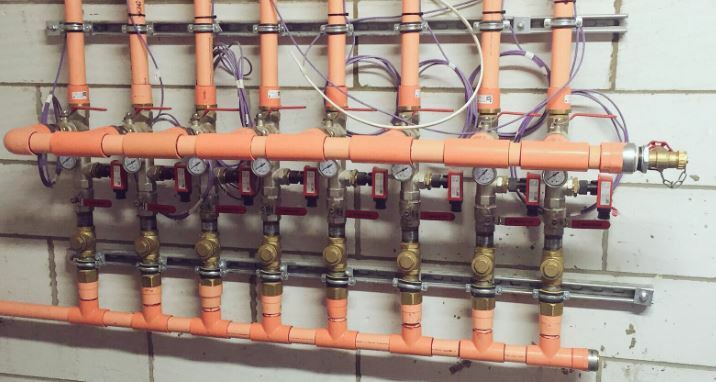 We have the same high standards so we are really happy to supply our valve sets to them. The effectiveness of the fire sprinkler systems provided is essential to them and us. The Residential Sprinklers company offer a fantastic after service to ensure sprinkler systems are properly maintained for safety. Fire sprinkler systems can make a huge difference to the safety of people in their homes. There’s nothing worse than being faced with the frightening prospect of a fire, and a fire sprinkler system can make a massive difference to containing such an eventuality, thereby saving lives and reducing costly fire damage. 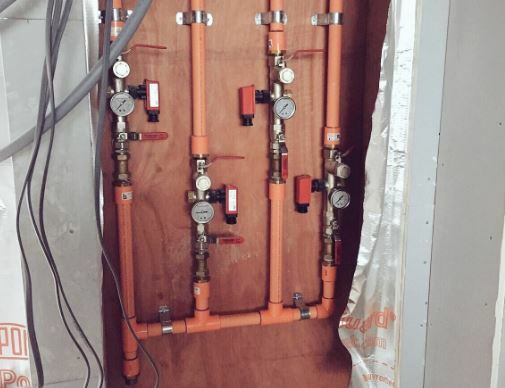 Current projects seeing our valve sets making a difference are 8 townhouses in Lillie Road Fulham, and a high-end apartment complex in central London. It’s great to know so many property owners are taking the issue of building fire safety seriously. Facts – it costs about as much to install a fire sprinkler system in a building as it would to install carpeting. Installing both smoke alarms and fire sprinkler systems in the home reduces the risk of death in the home by fire by 82%. Well done to Residential Sprinklers for continuing to champion such important products and services.